As we inch closer and closer to the holidays, fashion is following suit. On some recent scrolls through Instagram I’ve been spotting fashion girls wearing rich textures like velvet and satin more and more, but also plenty of cool new earring and bracelet styles timed just in time for the festive season. So, what are the biggest holiday jewelry trends that are popping this year? There’s no doubting that some trends, like oversize pieces and crystal earrings, are everywhere—the latter part of the “chandelier” dressing trend we recently reported on. But there are also fresh takes on classic pieces like pearls and monograms that make them very 2018, as well as statement watches in unique shapes like that are destined for stylish holiday parties. 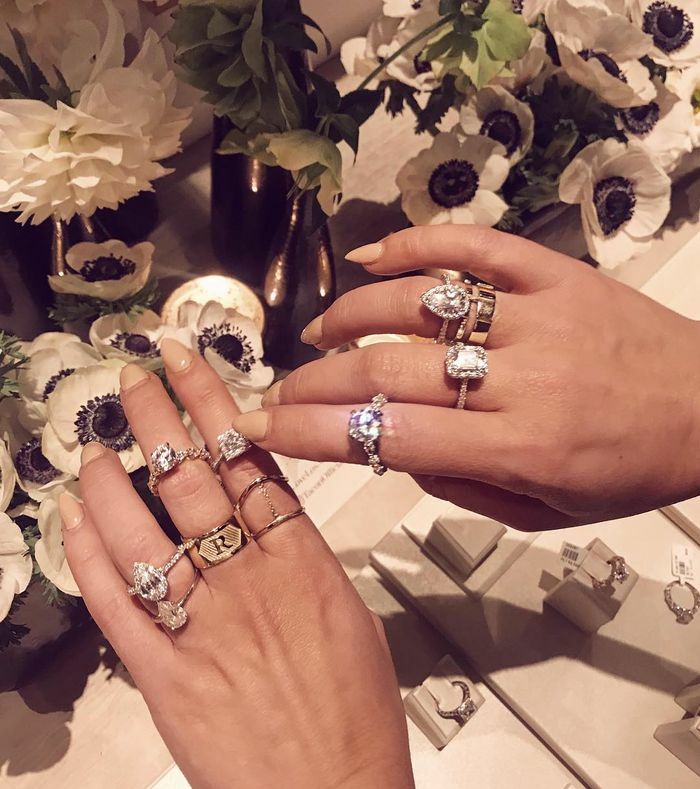 Scroll down to see the biggest jewelry trends for 2018 and to shop pieces inspired by each. Monogram pieces will never go out of style, and wearing your initials always feels special. One of my personal favorite trends, I've been pairing crystal earrings with everything from velvet bustier tops to T-shirts over on my Instagram. This trend has already exploded, but we see no signs of it slowing down. The fashion set is gravitating toward watches that double as statement jewelry pieces—like Bulgari's snakelike Serpenti and Chanel's graphic Coco Code. Bigger is better when it comes to utilitarian jewelry styles— like Cartier's Just un Clou bracelet, which is now available in a supersize version. You probably owned heart-shaped jewelry in your younger years, but it's officially cool again. Look for pieces with big proportions. Diamonds are most frequently worn on everyday studs, but this holiday season you'll be seeing them in elegant drop earring styles. Instead of simple strands of pearls, look out for new takes on the classic piece.